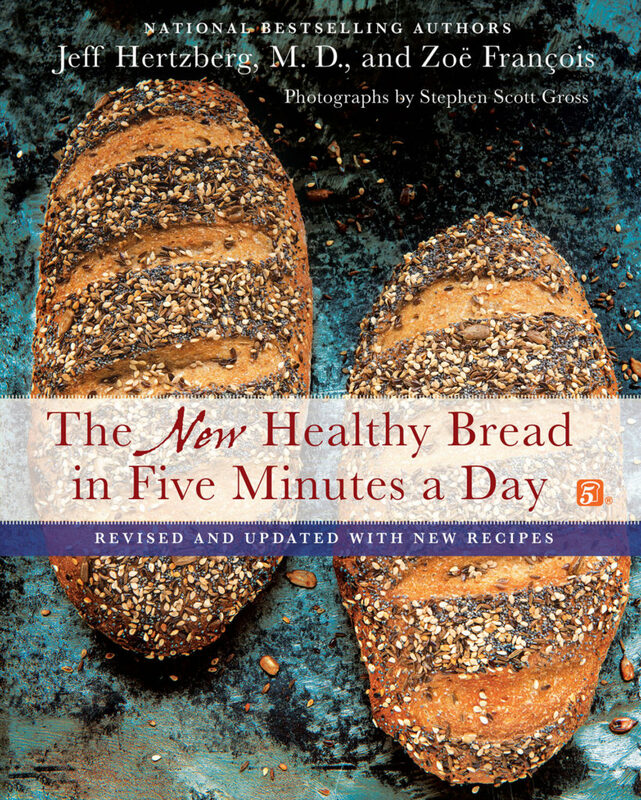 Master Recipe from “New Healthy Bread in Five Minutes a Day” using Vital Wheat Gluten! 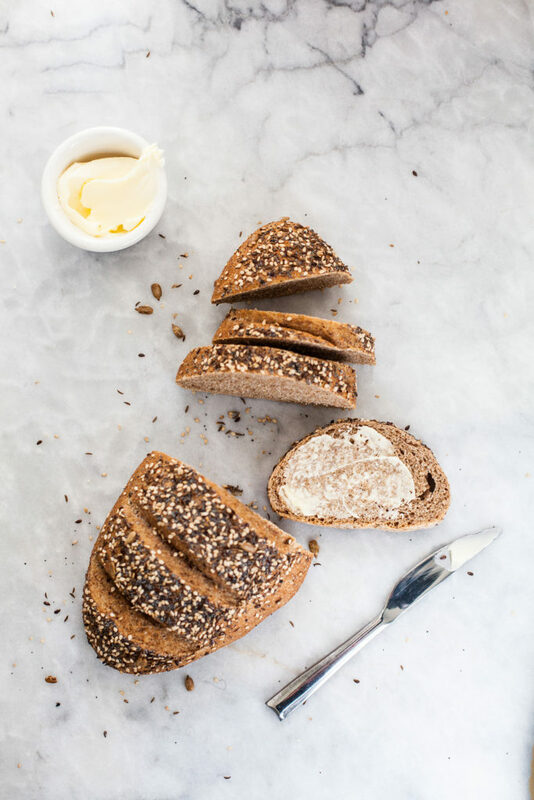 When we first wrote Artisan Bread in Five Minutes a Day in 2007 we were immediately asked how to convert the recipes to whole grains. 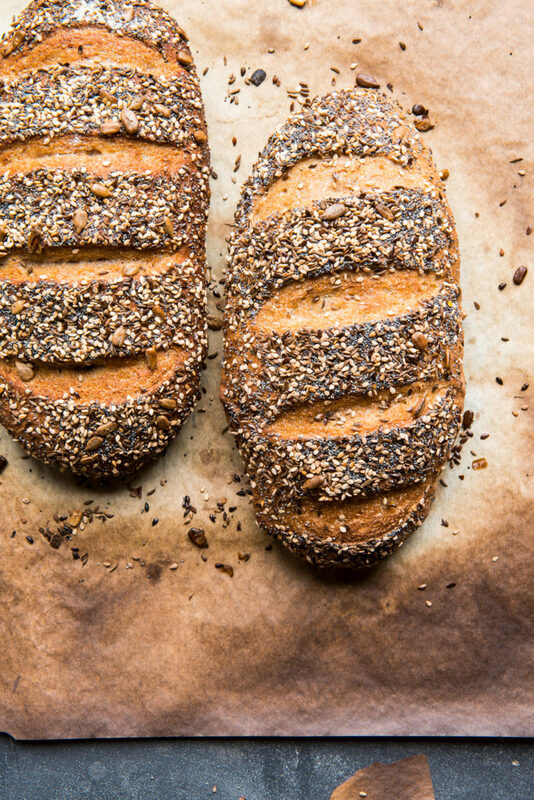 We knew then that we’d be writing another book to satisfy the appetite for healthier breads. We also discovered gluten-free flours and developed our first breads made with them. The book answered a lot of questions and concerns about eating whole grains, but since 2009, when it first came out, we’ve learned even more. 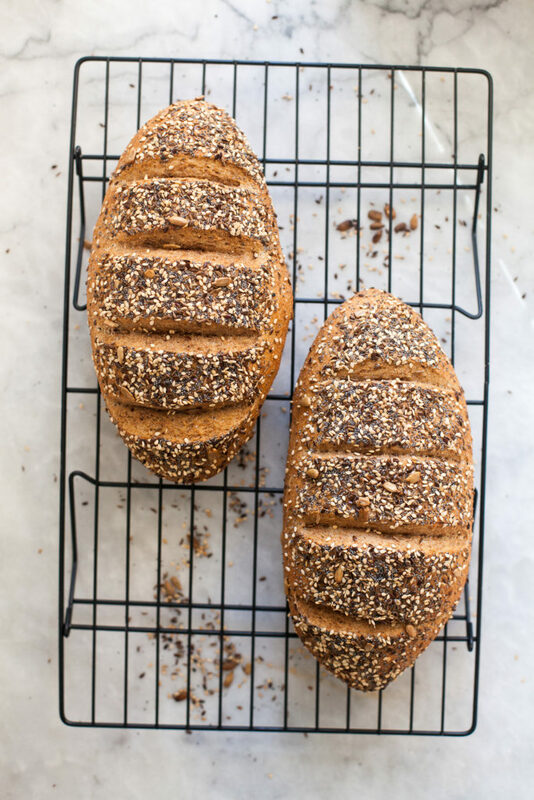 Our readers have become curious about ancient grains, baking with sourdough starter and they wanted even more 100% whole wheat. 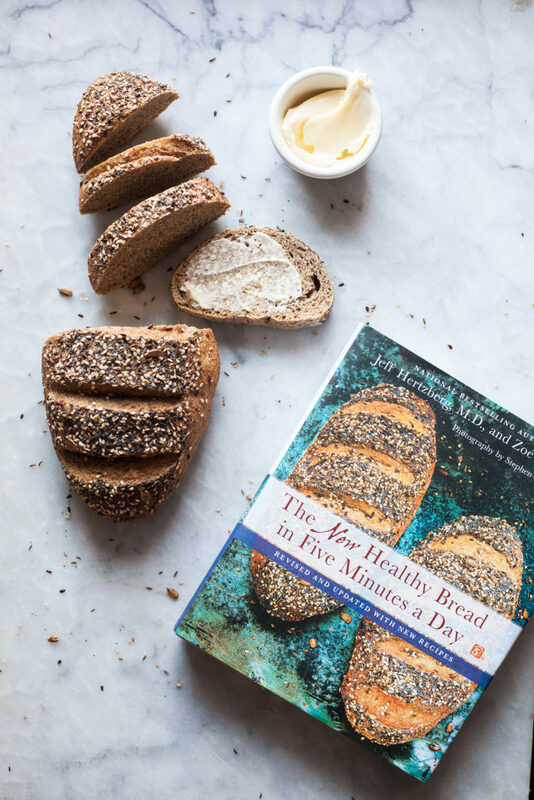 Well, we got the opportunity to create a new edition of the book and we’re thrilled to introduce you to the The New Healthy Bread in Five Minutes a Day: Revised and Updated with New Recipes. 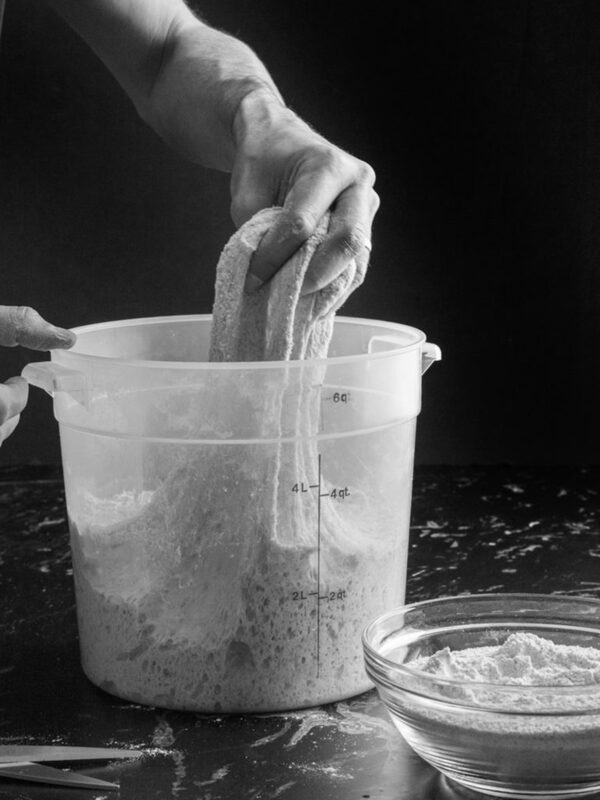 With whole grain baking you need more water, and one extra ingredient called Vital Wheat Gluten (sometimes labeled “vital wheat gluten flour”), which is available in most supermarkets, or on-line from anywhere… We found that boosting the gluten content with vital wheat gluten increased the amount of time we can store the dough. 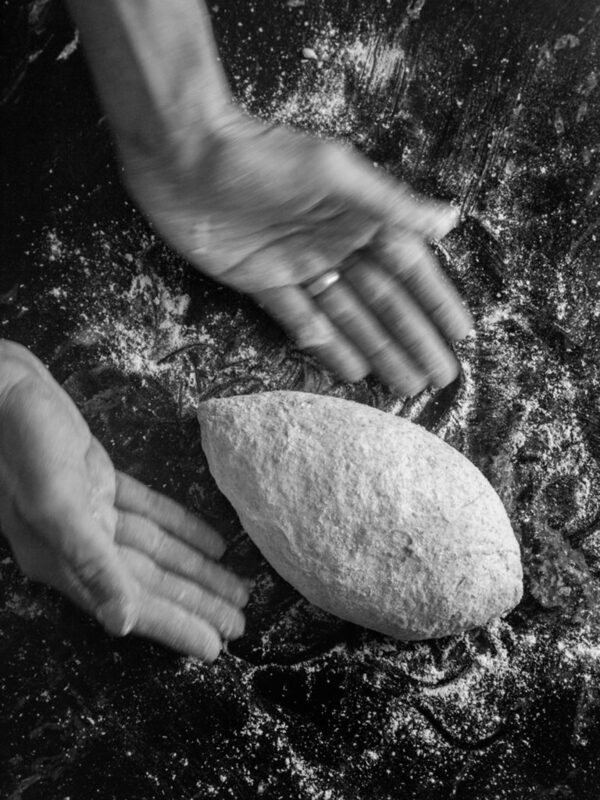 Storing the dough is why our recipes are different from all others and makes baking so fast. We also offer a version without vital wheat gluten in the book for those who prefer not to use it or can’t find it. What is vital wheat gluten? It’s the protein-rich part of wheat that creates the strands that trap gas bubbles and allow yeasted bread to rise (and stay risen). 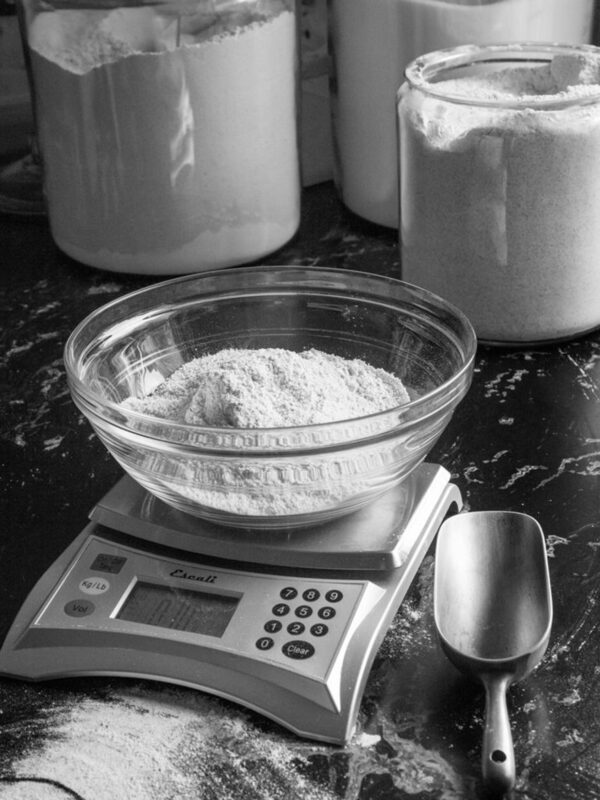 First, measure the dry ingredients into a 6-quart round container or bowl, and whisk them together (you can also use a fork, or if it’s lidded, just shake them well). 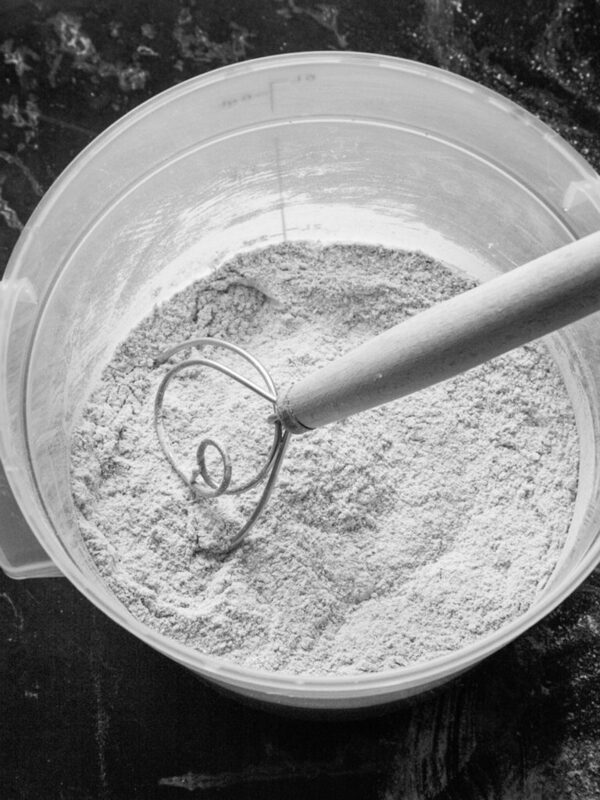 Mixing the dry ingredients first prevents the vital wheat gluten from forming clumps once liquids are added. 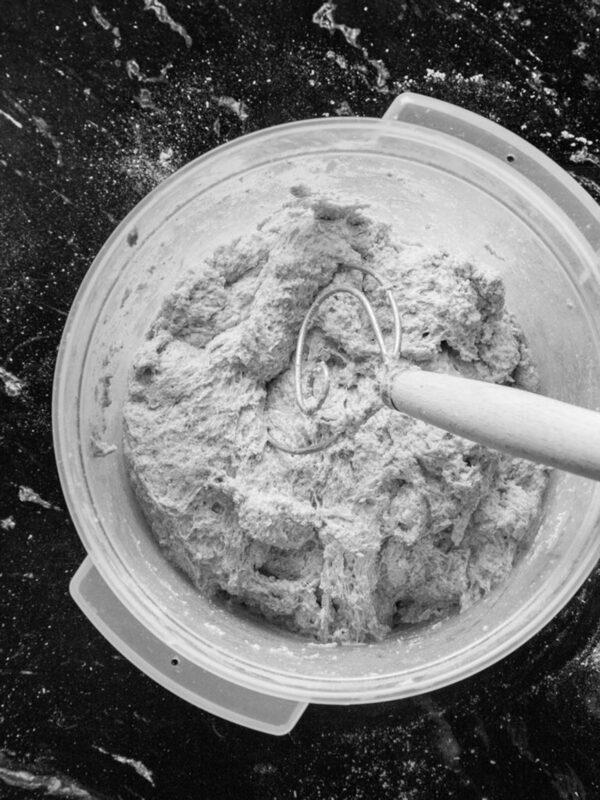 Add the water to form a wet dough and mix with a Danish dough whisk or wooden spoon. Don’t add additional flour to dry this out. It should be wet and shaggy. 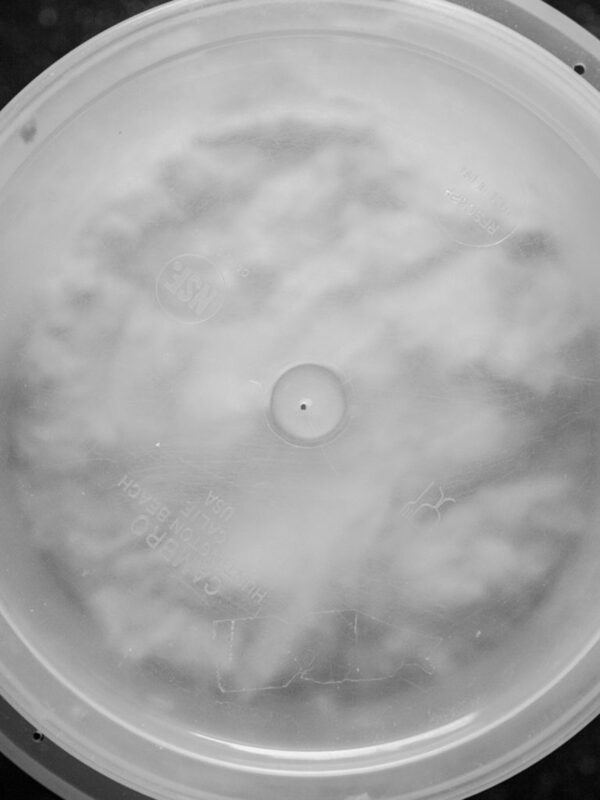 Cover loosely (leave lid open a crack) or you can pierce a small hole in the lid, as you see above. Allow to rise for two hours at room temperature (if you decreased the yeast, you’ll need more time). NEVER PUNCH DOWN. The dough will rise and then begin to collapse. 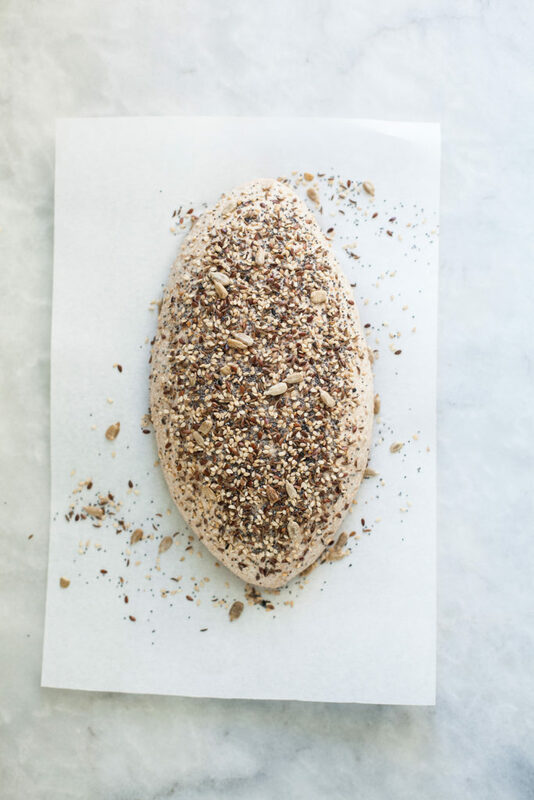 Refrigerate and use over the next 14 days, tearing off one-pound loaves as you need them. 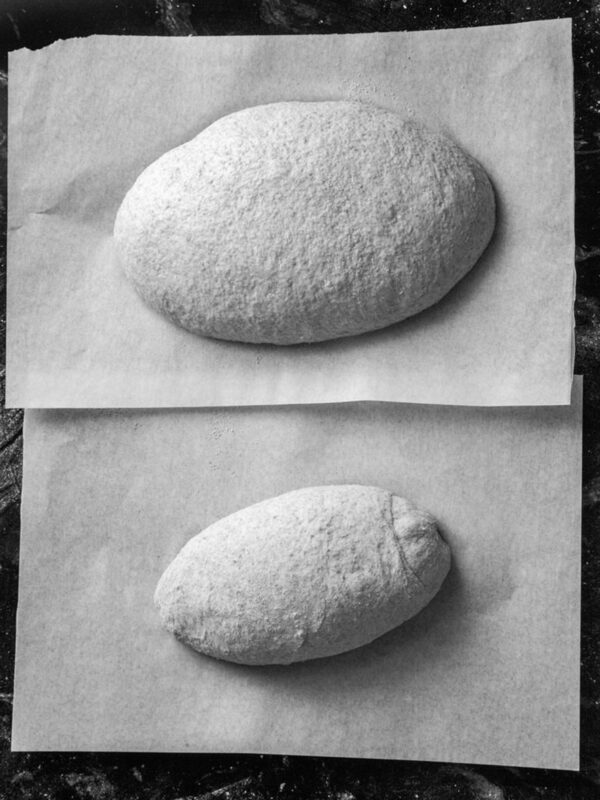 On baking day, cut off a grapefruit-sized piece of dough (about a pound), using a serrated knife or a kitchen shears. 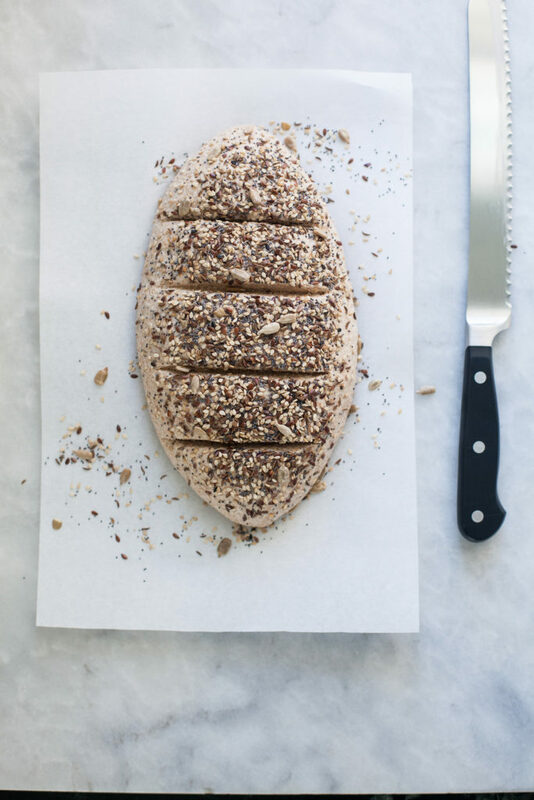 Quickly shape a loaf as you’ve seen in our videos here. It should take less than a minute— you pull the top around to the bottom, rotating quarter-turns as you go. 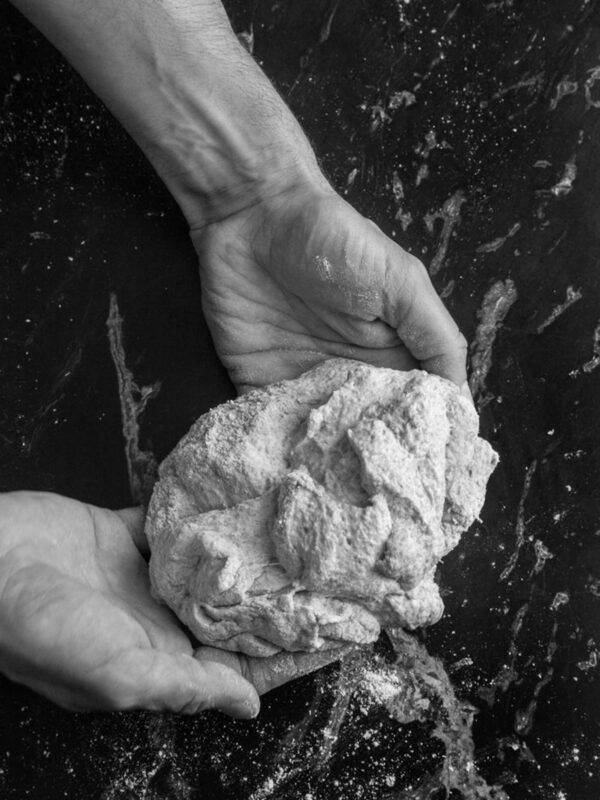 DON’T KNEAD or otherwise knock all the gas out of the loaf. Preheat the oven to 450°F (230°C), with a baking stone placed on a middle rack. 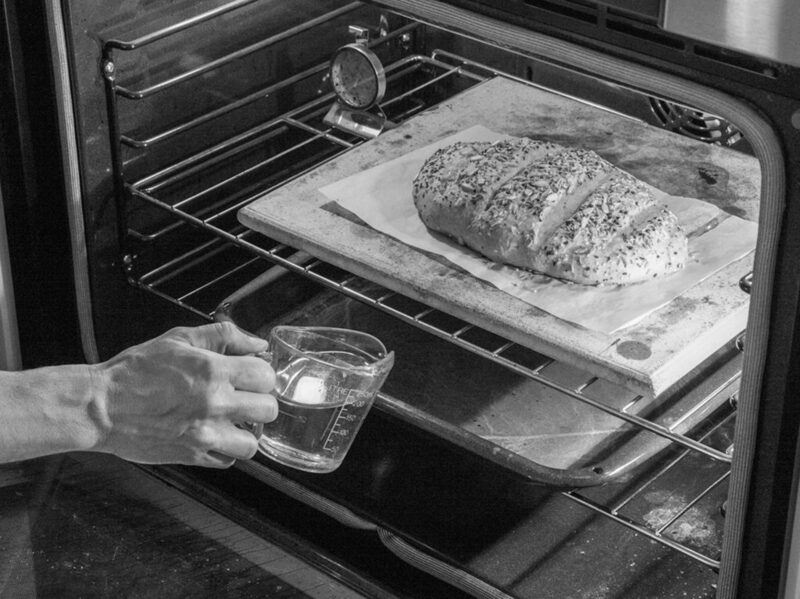 Place an empty broiler tray for holding water on any other rack that won’t interfere with rising bread. Just before baking, use a pastry brushto paint the top with water and sprinkle with seed mixture. …and carefully pour 1 cup of hot tap water into the broiler tray. 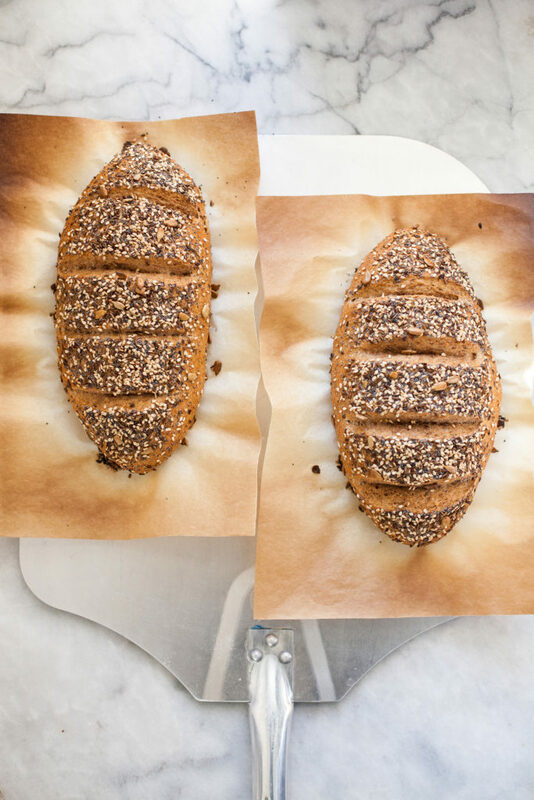 After a 30-minute bake, remove from oven and take the bread off the parchment. I am really having a problem. I need to have a thinner not quite so thick and chewy crust. I have tried using AP flour instead of all bread flour. I have tried turning the temperature down also. Any suggestions would be greatly appreciated. My sister cannot eat it period as it is to tough. Thank you in advance for your consideration. In addition to using the AP flour and lowering the temperature to 425 or 450 degrees F, you should eliminate pouring the cup of water in the pan in the bottom of the oven at the onset of baking. The steam helps to create the thick/chewy crust. Note that your baking time will be increased due to the lower temperature of the oven.